A much loved and well-respected figure in the Bombay film-industry (a.k.a. 'Bollywood') for almost six decades, Enoch Daniels (fondly known as 'Danny') is known for his work as a film arranger/composer, and for his instrumental albums of rendition of film tunes on the piano-accordion. Born on April 16th, 1933 in Pune, a historic and bustling city in the western state of Maharashtra, India, he was raised in a musical family (all six brothers played an instrument), with religious and church music playing an important role in his early years. The presence of British missionaries in the area (Convent of St. Mary the Virgin, and the other managed by the Cowley Fathers belonging to the Society of St. John the Evangelist, S.S.J.E.) ensured that he received musical instruction for the next few years on the local church organ. He was also keen on percussion, assembling a make-shift drum kit consisting of wooden boxes, metal tins, brass plates to substitute cymbals with, a chest of drawers which served as a bass drum, and a kettle drum. Several years of instruction under Rev. Father Slade and Sister Gertrude Joy, laid the foundation for the long musical journey that lay ahead of him. As a student of the Nowrosjee Wadia College in Pune, academics took a backseat, since Enoch was gaining popularity with his regular appearances on stage as a performer. The need for a 'portable' instrument in the relative absence of pianos at venues resulted in the purchase of a piano accordion, an instrument which was received well by audiences. (The accordion was a relatively unknown instrument in India at that time, and Enoch was the first exponent of this instrument here.) In 1953, he was selected to represent Pune University at the All India Youth Festival in New Delhi. This event exposed him to a wider audience, and brought him to decide that it was music that would be his profession of choice from then on. Disbanding the idea of joining the Indian Army, a thought he once entertained, he packed his bags and sought his future in the film industry in Bombay. After an initial period of hardship, his first break came when he performed with the Hawaiian guitarist Van Shipley in 1955, with whom he performed scores of shows country wide, as well as internationally. Live performances kept Enoch busy through most of the 60's and 70's. He was a member of some of the first Indian troupes that performed abroad such as: 45 shows in East Africa alongside Talat Mahmood, C.H. Atma & Van Shipley, with Manna Dey in Mauritius, with Mohammed Rafi in the West Indies, with Talat Mahmood in the U.S.A. and Canada, with Kishore Kumar in South Africa; and was part of the first Indian film troupe to perform at the Royal Albert Hall, London, led by Lata Mangeshkar. After a very successful tour of East Africa in 1957, Columbia Records signed Enoch as a solo artiste. He recorded several instrumental albums, including 40 singles (78 r.p.m.) 15 extended play records and 18 long play records, some of which are available today on CD and audio tapes. 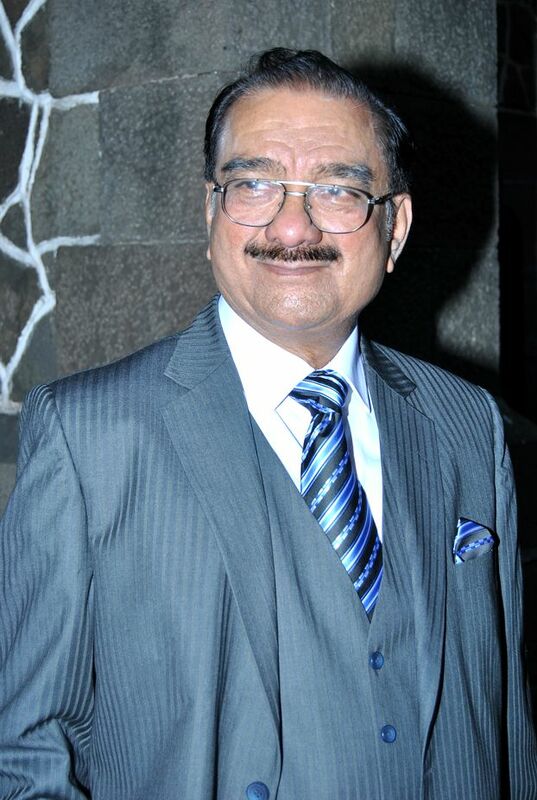 Besides his performing career, Enoch has been a busy arranger and sessions musician in the film industry in Bombay. He has worked with prominent music directors such as S.D. Burman, C. Ramchandra, Shanker and Jaikishen, Vasant Desai, Salil Chowdhury, Khayyam, Ravi, Madan Mohan, O.P. Nayar, N. Dutta, Ram Kadam and Sudhir Phadke. Since 1963 he has worked as an arranger for background and film scores. Among his noteworthy films are Kabhie Kabhie, Trishul, Chotisi Baat, Pinjara and the entire re-recording in stereo of the classic V. Shantaram film, Jhanak Jhanak Payal Baje. Enoch has also written music for several documentaries, commercials, and solo album releases by artistes such as Talat Mahmood ("Film Gems of Talat Mahmood: Melody the queen - Talat the prince"), Preeti Sagar (Nursery Rhymes), and Shaguftagi - Fragrance Of Poetry & Melody with poetry by Kaifi Azmi, and arrangement of melodies by Khayyam. Enoch is the recipient of the first O.P. Nayyar Foundation Award (2007), the Maharashtra Government State Cultural Award (2006) and most recently the Sharad Krida Sanskrutik Pratishthan Award (2008). Enoch currently resides in Pune. He continues to perform periodically and undertake studio assignments as and when they arise.